Apparently there are nine elements to a business model. That’s right… nine. The number that comes after eight and before ten. I can feel your anxiety on the other side of the screen as you read this. But in my defense, I didn’t make up the rules. Some guy from Switzerland did. While working on his PhD in business model design, Alex Osterwalder built a tool called the Business Model Canvas to help business leaders map out there business model on a single sheet of paper. Osterwalder’s Business Model Canvas is the best tool I’ve come across to quickly and easily map your entire business model onto a sheet of paper — in less than 20 minutes (I did it in less than 10). 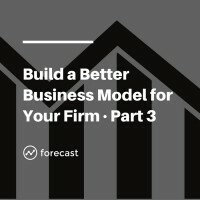 In this lesson, I’ll walk you through the nine elements of the Business Model Canvas and use my own practice as a case study to show you how everything fits together.